WO 27, originally uploaded by gingersnaps. 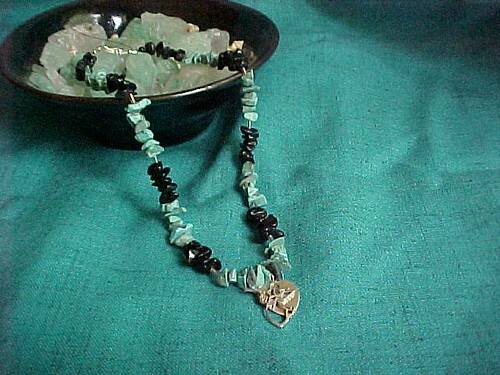 This necklace is made up of mutiple sizes and shapes of green Aventurine. This is a custom made necklace. 16" double strand with a large sterling silver lobster clasp. $80.00. Blessings. WO 32, originally uploaded by gingersnaps. WO 29, originally uploaded by gingersnaps. Cathy D CUSTOM DESIGN $147. Ears 22. Cathy D, originally uploaded by gingersnaps. 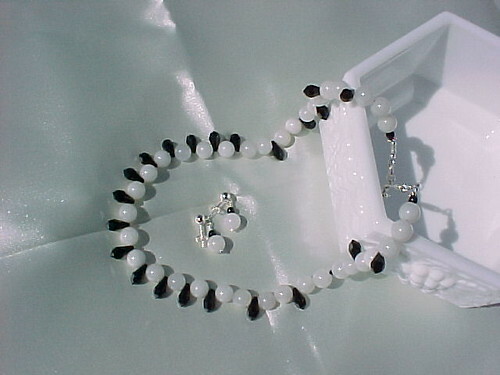 White Jasper & Black Swarovski teardrop crystals. 16" long with a 2" ss extension chain. Custom Jewelry by Ginger. This necklace is $147.00 Earrings are $22.00 Pretty huh? Blessings. TQ 2, originally uploaded by gingersnaps. TQ 10, originally uploaded by gingersnaps. I am writing to complain about the SPCA of North TX. We have been complaining about two abandoned dogs that live next to us. One died a year ago of Heartworms, I think by the way he was coughing so badly. We have been asking the SPCA to do something to remove these dogs now for 10+ years. They are suppose to be investigating this situation. But the one dog is still there. Some times not having water and they do not feed this dog, we do. Even though the SPCA told us not to. If we didn't feed him he wouldn't eat. My compalint is that this is NOT a situation of a Puppy Mill so they don't get alot of coverage and BIG donations so they just sweep it under the rug. Well we are very upset about this and need to VENT. We will stay on this one until they remove the dog. The people have only taken the dog out of his area a total of ten times in this whole time. Any one else got a gripe? Thanks for listening.